During the school days I remained awake till late to prepare for the examination as during day playing was important! Around midnight the pangs of hunger and drowsy eyes would not allow focusing on studies so a break for coffee or tea was needed. 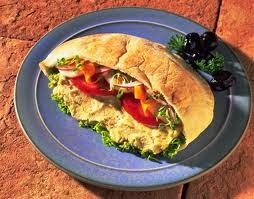 Without disturbing others, I would tiptoe to the refrigerator and prepare a quick sandwich and a cup of coffee! What a bliss it was to have a quick fill before doing one last round of studies before hitting the bed! This habit continued much beyond too! It was then; I realized that all the food items were produced by the assistants of god except bread which was for sure produced by none other than almighty himself! It was easy to eat in the morning when time was always at a premium. Sometimes, if the entire family just returned home after a long trip or an outing and no one had energy to cook; the humble bread from store would come to the rescue. Is there anyone in this world who does not eat bread? It is not uncommon to see those living in shanties get up early and prepare their own roti at day break. The history shows that bread was accidentally prepared by humans some 30000 years ago by mixing flour, water and roasting the paste/dough over fire or earthen oven. The first sliced bread in wrapper came into existence just about a century ago! Till the beginning of 21st century the poor ate the multigrain bread and the rich preferred eating the white tender bread! Things changed as the rich realized the nutrition value of the multi grain bread to switch the preference in its favor. When I travelled around the country, I saw different kinds of breads being prepared in different places like the puffed fried pooris and kachoris, missi roti, bajra(millet) roti, roomali roti, thepla in the Uttar Pradesh, Bihar, HP, MP, Gujrat and Rajasthan, tandoori roti, makki( maize) di roti, nan and kulchas in Punjab, bhakri in Maharashtra and different kind of golden crisp parathas almost everywhere filled with vegetables, potatoes, even eggs layered with butter or ghee! In contrast the breads in Southern part of India were rice and lentil based resembling crepes and the popular ones are dosas, appams, utthapams, pesarattu,even rice rotis and raggi and akki rotis! It would not be fair to acknowledge that with passage of time many have been integrated with north Indian meals and vice versa! The layered parottas of South and soft luchis of Eastern India find a special place! On my first trip to the US and Europe, I was left spellbound by the variety of breads, brioche, buns, bagels, bread sticks, croissants, donuts, pizzas, tortillas and crepes! Every day, one could try a different kind of bread and still not be done with. I remember, once while traveling through Luxemborg, I saw a huge bakery shop and I felt that my feet refused to budge! The aroma of the fresh baked bread and the varieties of golden brown, nuts, seeds, fruit and meat buns and loaves were a sight to feast the eyes! There are baguettes in France, Borodinsky in Russia, Ciabatta and Focaccia in Italy, Tunnbrod in Sweden and Taftans in Iran and Zopf in Switzerland to add to the list! Yet another time while exploring the Khan Khalili market in Cairo the hawkers carrying fresh baked ‘khubz’ looked delectable. I also recollect sitting by the roadside café in Caramel Market in Tel Aviv, and dug into the falafel prepared from fresh ‘pita’ bread that was simply gorgeous! It was equally amazing to see consumption of Taboon bread all along the west bank, Gaza and bordering towns of Lebanon! 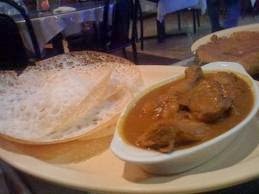 Malaysia boasts of roti and canai resembling chana in India! Every time I returned home from a jaunt abroad, my wife would ask me what kind of bread you have brought for us to taste! A garland of bread with each bun of a different variety was a temptation difficult to resist when I entered a bakery in Christchurch in New Zealand! 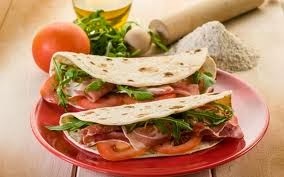 The memories, associated with buying and tasting so many variety of breads all over would need more than one post! Bread has been the reason for many a wars and strife all over the world and the most memorable being words uttered by Mary Antionette’ French phrase "Qu'ils mangent de la brioche", meaning if they cannot eat bread why can’t they eat cake, at the height of the French Revolution! What a delicious write up on bread Rahul! Have you tried Kara bread go ayyangar bakeries in Bangalore? Too good! Thanks a lot Padmaja:) Noted for next trip to Bangalore!! I have always been fascinated by the similarities between Indian and Mexican food. 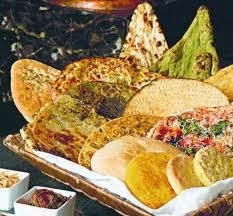 Thanks a lot Amit for enjoying this tale of breads:) Yes, Mexican food is spicy like ours! It's 10:00 am, and I am still rolling on my bed reading about your post on breads..:-) when I looked at the title itself I thought, this is going to be some appetizing post...:P. Now, I think I will move my lazy self and eat some bread. Yes, bread is a savior at all times. Saru, it is the aroma of the fresh baked bread that acts as a magnet to the bread! No wonder the sight of bakery draws me to itself:) Thank you! Very tasty post Rahul ji. 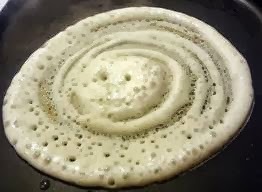 That dosa underpreparation makes me very hungry! Ha ha... Kusum! So the fresh dosa picture did the trick:) Thank you!! When going to school I used to eat Ganji. Bread was only on the weekends and daily evenings..
Rahul ji, normally after reading your posts I feel like I have learnt something or felt something I would not have learnt/felt on my own. This post left me with an intense carving for everything you mentioned. So, this was even better! A big thanks indeed KK that you find at least some things that have some information value and this time the post succeeded in increasing your craving! For me breads were never so mouth-watering till I read this! How nice of you Radhika, that a humble post could make your mouth water:) Thanks a lot! This used be the daily morning prayer in the Jesuit school where I studied. 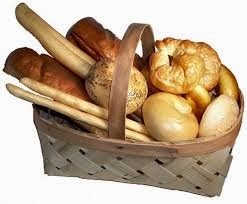 Hi Rama, we too had the 'Give us this day our daily bread' a part of morning prayer ijn the school. Looks like it has got ingrained in our heads:) Thanks! I would never miss an oppurtunity to have bread in any form. I can actually smell a bakery from miles. What a wonderful, informative post, Rahul. I've tasted many of those breads barring a few and I agree even if the doc doesn't. Soft, warm bread is comfort food. What a wonderful post on different sorts of bread! I love the breads too... and breaking bread with another is such a powerful symbol of friendship. Thanks a lot Lady Fi for having a flavor of different kinds of bread, Lady Fi! I am a huge fan of bread ,I can' eat withoout it! It is true for all of us, Francesca:) Thanks! I went for a Europe tour last mth and that is where I had a taste of soooooooooooo many different breads and croissants...i cant even properly name them. Ha, ha Rachna thanks for that kind comment! At least this one does not cause any envy! This was such a mouth-watering post! I drooled and drooled and drooled. I just love the crusty, unsliced, multigrain variety. No Rye bread/ corn bread for me. Have you had the Goan pao? It's just perfect to go with the spicy, flavourful Goan curries. Yummy. I am feeling so hungry after reading this post. I am also a fan of breads and keep trying the new ones. You have a great space here. As your newest follower, i look forward to reading more! 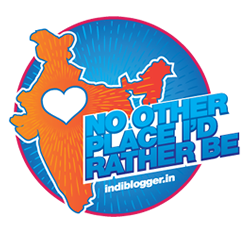 Welcome to my blog, Pallavi and I am honored that you are following my blog:)Looking forward to see you more often! Thanks Renu ,for liking the post! Have been fortunate to have seen a bit of the world! It is indeed amazing to see the varieties of bread eaten all over the world! Hi Rahul, I actually didn't know about the discovery of bread, that was interesting. Its so amazing how every country has their unique version. In Sa I have seen locals make a steamed and not baked bread which is quite nice. Great post. That sound really interesting! I think the first thing we tend to eat when visiting foreign countries is the 'safer' more approachable option of bread, before we tackle any of the local cuisine. Stopping by to wish you a wonderful weekend! Right absolutely, Sam:) Have a great new week! interesting and informative. So tempting and seems delicious. 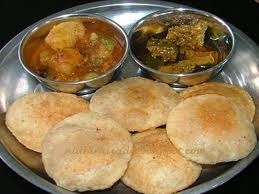 In India and Pakistan roti is mostly eaten daily basis in average house. Thank you Kiran that you liked the story of the bread:) True Roti is our staple diet! Oh how nice, so you are in Saudi now, Manjulika:) Await to hear your experiences! Rahul ,your post is not only informative, but very interesting. The variety of breads you have described is amazing.I think there is no one who does not like bread. The photos depict very tempting range of breads. Nice post.